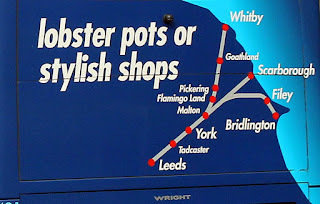 Buses every 30-minutes between Leeds, York and Malton - with most then continuing on to Scarborough, Pickering & Thornton or Whitby. New Cityzap will run non-stop between Leeds and York, meaning a bus every 15-minutes between York and Leeds during the main part of the day Monday-Saturday, and every 30-minutes on Sundays. Buses every 2-hours to and from Whitby. And that's not all. At least 10 brand new buses are arriving on Coastliner later this year, with top of the range features.